Dr Sergio Tommasini has a dream: fields of tobacco as far as the eye can see, thousands of hectares of green stretching across South Africa, Brazil and Europe. But he is not some latter-day pedlar of a cancer-causing weed. In fact, if you smoke one of his leaves you'll likely spit it out in disgust, says Dr Tommasini, managing director of Sunchem Holding, an Italian research and development company. For this tobacco has no nicotine. It is grown for its seeds, which are rich in oil that can be used to make bio jet fuel. And a tobacco-powered Boeing plane will be roaring along the Cape Town-Johannesburg corridor conducting tests within months, if things go to plan. 'It's going to be the greenest flight ever,' said Dr Tommasini. Launched in December 2014, Project Solaris is a collaboration between his company, the sustainable jet fuel supplier SkyNRG, and some private investors, supported by South African Airways and the aerospace company Boeing. The EU has part-funded their feasibility study to test the viability of the process before it is scaled up. 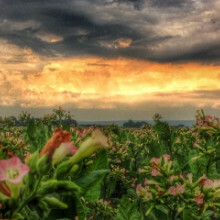 The hybrid tobacco, Solaris, for which Sunchem holds the international patent, currently grows on 50 hectares of land in Limpopo province, in the northeast of South Africa. Some two to three tonnes of crude oil can be pressed from its seeds per hectare per year, says Dr Tommasini. Solaris has been bred to have leaves much smaller than the flappy ones of a normal tobacco plant, and to have oily seeds. The scientists believe it can overcome the notorious troubles that arose around first-generation biofuels such as sugar cane and maize, accused of competing with food production. In South Africa, at least, it won't be food-versus-fuel, but fuel-versus-smokes - and Solaris could also be used in rotation on the 70 000 hectares of cotton plantations in the country, says Dr Tommasini. Elsewhere, such as in Europe, it could be rotated with food crops, which would enhance the soil and break disease cycles. Meanwhile, the leftovers from seed-pressing yield a rich animal feed. 'It's not toxic, so it is feeding into the nutrition cycle,' he added. So, is tobacco the answer to the dreams of the aviation industry? In 2015, Solaris became certified by the Roundtable on Sustainable Biomaterials (RSB), a global scheme supported by the World Wide Fund for Nature (WWF), supporting the sustainable production of biofuels and other biomaterials. Over the lifecycle of the fuel, it will lead to a cut of 75 % in carbon emissions compared with its fossil fuel counterparts, says Dr Tommasini -- much better than the threshold of a 50 % reduction set by the RSB. But Dr Jeremy Woods from the Centre for Environmental Policy at Imperial College London, UK, who is not involved in the project, says that, however hard they try, such lifecycle calculations can't fully take into account the carbon cost that comes with the clearing of virgin land for cultivation - which can happen indirectly because the original crop has been displaced to some other, previously unplanted terrain. He recently calculated that four million hectares of land would need to be deployed to biofuel crops in order to supply the aviation industry. "On the one hand it's very unlikely that biofuels could service today's and the future aviation industry," says Dr Woods. But a more nuanced goal, in which biofuels are a partial and intermediate solution, looks more feasible. "If you see biofuels as a share of a transition programme, then it suddenly doesn't look impossible," he says. Head north-east from South Africa and you'll hit the island of Madagascar, where scientists are growing a single hectare of the toxic, invasive tobacco tree, Nicotiana glauca -- known for its love of the driest, hottest, most inhospitable patches of our crowded planet - which they want to turn into a source of sustainable energy and materials. Tree tobacco is a mostly unwelcome addition to a nation's flora. It is indigenous to South America, and is smoked by some Native Americans, but it is tenacious and invasive in many parts of the world. Victims of its poisonous leaves include some people who have mistaken it for spinach, and a number of ostriches. But lately scientists have grown excited about its extraordinary ability to do without groundwater and its apparently low demand for other essentials such as the nitrogen required for photosynthesis. "It's an incredibly hardy species and the growth is really quite astounding," says Dr Alisdair Fernie, of the Max Planck Institute of Molecular Plant Physiology in Potsdam, Germany, who coordinates the MultiBioPro project, an industry-academic partnership funded by the EU. This is a plant that does not need pampering with micro-irrigation, a common technique when farming in very dry soil. Instead it appears to absorb moisture from the air through its pores. "As a potential biofuel this is essentially gold dust," says Dr Fernie. "It grows not even on marginal land but land that is completely bankrupt for agricultural use." Work on N. glauca is less advanced than on Solaris. Field trials have been done in the United Arab Emirates, and the hectare under cultivation in Madagascar will soon be harvested and the seeds taken to Germany for an attempt at biorefining for jet fuel, or as an additive to other fuels to reduce their emission of particulates and carbon monoxide. As with Solaris, finding multiple uses for every part of the plant is thought to be key to its success, so MultiBioPro is also considering how the tree's biomass can be processed into other products. Does hygiene levels explain why developed countries have much higher rates of Alzheimers than developing ones? It's estimated that there'll be a million people with dementia in the UK by 2025. But despite the rise of a disease which currently costs Britain an estimated £23 billion a year we still don't really understand what causes it. This week however, a team of researchers led by Molly Fox at the Division of Biological Anthropology at Cambridge University have been looking into one puzzling aspect of Alzheimer's, why do developed countries have much higher rates of the disease than developing countries? You might imagine that those in developed countries simply live longer - the proportion of people with dementia doubles for every five year age group. But, even if you account of the differences in age, Europe has a far higher rate of the disease than South America, India or China. So why do developed countries have this higher rate? 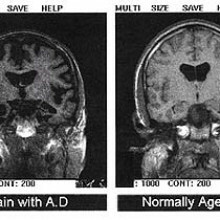 If you take a look at the brain of someone with Alzheimer's, you find plaques and tangles of Tau proteins as well as chronic inflammation, or swelling. This swelling is similar to the inflammation found as a result of auto immune diseases - where the body's own immune system attacks it. We know that people are more protected from these auto immune diseases if they are exposed to a greater number of pathogens, bacteria and viruses during their lifetime, which is more likely in developing countries where sanitation and water supplies might be less developed. So the researchers wondered, could the same be true for Alzheimer's? Fox and her team compared age-standardized years lost to death and disability as a result of Alzheimer's in 192 countries with their pathogen prevalence, calculated by looking at areas such as sanitation and water supplies. They found that there was a highly significant relationship between the hygiene indicators and the level of Alzheimer's. While this correlation cannot be proved to be causal the team hope that it might help to prepare developing countries for potentially higher rates of Alzheimer's as hygiene conditions improve. 03:29 - Do cheats have a guilty conscience? Although people predict that they will feel guilty after cheating, those who cheat actually feel better afterwards than those who don’t. Do cheats have a guilty conscience? It has long been assumed that unpleasant feelings like guilt arise after we have cheated, and that these mean that we are unlikely to cheat again, as we want to avoid feeling bad. A study by Nicole Ruedy and colleagues, however, published in the Journal of Personality and Social Psychology, suggests this isn't the case. The researchers asked people to predict how they would feel if they cheated, and found they thought they would feel bad. They then gave people the opportunity to cheat, by misreporting the number of puzzles they successfully solved in a time period, and asked them how they felt afterwards. Interestingly, those who cheated by reporting that they solved more puzzles than they actually did felt happier than they had before the experiment, while those who didn't cheat showed no change. 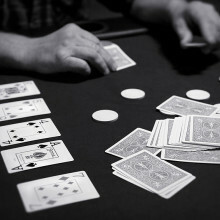 To ensure it wasn't because the cheaters gained a greater reward, the researchers varied the amount of money participants received for a correct solution, and found it didn't affect their feelings- it seems it is the act of cheating, not the reward, that made cheaters feel good. The same effect is even seen when participants didn't do the cheating themselves. In one experiment, a second person marked the participant's puzzles, and sometimes misreported their result. Participants whose marker said they had completed more puzzles than they had also got the 'cheater's buzz'. The researchers therefore argue it is having the chance to 'get away with it' that gives participants the positive feelings. This study was limited, in that there were no real losers when the participant cheated. It may be that if their actions had affected someone else badly, the positive feelings would have gone away. However it is an important finding, as if someone has the chance to cheat in a relatively minor way, and gets away with it, that buzz might lead them to do the same thing again, through positive reinforcement. You may have heard this week about a new building at 20 Fenchurch St, in the City of London. The 37-storey skyscraper, which has already been dubbed the 'Walkie-talkie' due to its unusual shape, has been blamed for cooking a number of vehicles parked nearby. Some suggest that this might be due to the novel shape of the building, which causes it to act as a parabolic reflector, targeting sun's rays. Here's the quick fire science behind parabolic reflectors and their uses. 2. Reflectors have a paraboloid shape, as seen in satellite dishes. 3. When light shines in to a parabolic reflector, the rays of light are reflected so that they all converge at a single focal point. 4. If the incoming light to a reflector is sufficient, the temperature at the focal point can be as high as 3000°c, meaning that items placed at the focus can burn. 5. Alternatively, if a light is placed at the focal point of a parabolic reflector, the rays will be reflected back to give parallel beams of light. 6. For a parabolic reflector to be as effective as possible, it must have an extremely precise construction to prevent the incoming and reflected rays of light from cancelling each other out. 7. For a reflector of visible light, this means that construction must be correct to within 20nm. A greater degree of variation is acceptable for reflectors of larger electromagnetic waves, such as micro and radiowaves. 8. One of the earliest reports of the use of a parabolic reflector is attributed to the Greek mathematician Archimedes in the 3rd century BC. It is said that during the siege of Syracuse, Archimedes used a parabolic arrangement of mirrors to set fire to enemy Roman ships as they approached the city, although it is unclear how effective this actually was. 9. 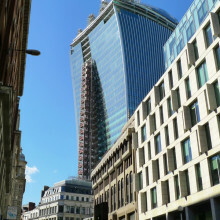 It is thought that the 'Walkie-Talkie' skyscraper, which has a 160m tall curved glass structure, is acting as a parabolic reflector, thus causing it to melt cars and other objects which happen to be placed at its focal point. 10. However, the skyscraper is by no means a perfect parabolic reflector, and has thus far only been estimated to reach temperatures of around 100 degrees centigrade at its approximate focal point, rather than the thousands of degrees centigrade which could be reached with a purpose-built reflector of this size. 11. Parabolic reflectors have a variety of other more common uses, such as in radio telescopes and car headlights. The Olympic torch at Olympia is also lit using a parabolic reflector. Environmental campaigners are worried about a badger cull intended to restrict the spread of TB. But what can models tell us? Another issue that's been causing environmental campaigners some concern recently is the badger cull, which is intended to restrict the spread of bovine tuberculosis. Rowland Kao is a Professor of Mathematical Population Biology at the University of Glasgow. He uses theoretical models to investigate the dynamics of infectious livestock diseases including bovine TB. Ginny - So Rowland, why is tuberculosis important? Rowland - Well, tuberculosis is an important human disease. The bovine part of it does infect humans. So, there's certainly a risk of zoonosis. Now, the risk is not very great, so one of the big reasons why we're worried about it is because our status as a country which has a high level of bovine TB means that we are seriously affected in terms of our trade within the EU. Ginny - So, how do you go about studying something like this? Rowland - Well, there's been all sorts of ways that people have been looking at the disease in the past 30 years. The key being, of course, epidemiological field investigations. You look at the situation and you see what is the most likely cause of infection. And the most controversial one is the randomised badger culling trial, conducted from about 1998 onwards for the next 8 years, where there was a large study which looked at comparing culling badgers as a way of controlling TB and not culling badgers. Ginny - And what did they find? Rowland - Well, they found that there's a definite link between the two of them. One thing we really know is that if you do something to the cattle population, it affects TB in badgers, if you do something to the badger population it affects TB in cattle. The problem is, we don't actually know the direction of that effect. So, it could make things better or it could make things worse. Ginny - Okay, so how do you think TB spreads between animals? Rowland - Well, TB is spread essentially through aerosolised particles from the lungs. There are a variety of mechanisms by which they're going to go from individual to individual. So for example, some people think the environment is involved. So, a cow might cough up TB bacteria then it might lay in the environment for a while and be picked up by another cow or it could be a badger doing the same thing or could be direct contact between animals. But the truth is that it's very difficult to do experiments to actually understand this conclusively and so we actually don't have that well quantified either. Ginny - You're a professor of mathematical population biology. How can maths help you study something that seems to be to do with animals and bacteria? Rowland - In this case, what we have is a whole series of partial pieces of evidence. 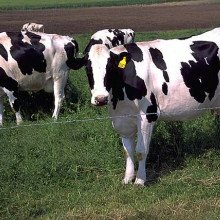 So for example, we know something about the way cattle herds are linked together because we record the movements of the cows between them. We know something about the way the badgers are linked to the cattle because we know where the badgers are roughly speaking and we know where the cattle are. We know the timing of events. The stage we're looking at right now, we're looking at how the sequences of the bacteria that are taking on cattle and badgers are related to each other. And all these various bits of information need to be fit together in a way that makes sense and that's where the mathematics and the statistics come in because not one single piece of evidence actually gives us a conclusive picture. Ginny - Could these kind of methods be applied to other diseases or do they only work for this kind of tuberculosis? Rowland - Well, it certainly has been applied successfully for many viruses. So for example, in the pandemic flu outbreak we had a couple of years ago, whole genome sequencing. So, a very detailed look at the changes of the genetic structure of the virus in this case was used successfully to trace the diseases that pass from country to country. Now, we're in a very different situation here. Because the bacteria are much larger than the virus, it's much more expensive to do the work, and also, because the variation in the genetics is much less, there's a lot less information. But it's never the less incredibly valuable information. So, there's good precedent for using it. We just have to be a bit more clever about how we're using it. I'm not to say that those people who do the virus's are obviously very clever indeed. We have to be clever in a different way in order to use the same kind of data. Ginny - So, what kind of differences are there and what do you have to do to actually make it work in this example? Rowland - Well, there's two major things that are a problem. The first which is that the bacteria itself doesn't change that much from individual to individual. Now, our estimates are that, we get about 1 in every 4 bacteria might be changed over the course of the year. So, you get 0.25 changes in the number, in an actual mutation in the bacteria over the course of the year. Now, that's a very, very little change. What it means is we can't simply look at one individual or another, look at the bacteria in the two individuals and say, "Aha! This individual gives that one" and we don't have quite that much information. So, that's the first thing. The second one is that because badgers are almost certainly involved to some extent, we're missing half of the information. We have very little information form the badgers. Now, we're working with people at the HVLA to get more detailed information from the badgers, but nevertheless, there isn't anywhere near as much there available, say compared to a cattle which are tested every single year, and for which bacteria on a regular basis. Ginny - So, what do we need to do? When will we actually know whether a badger cull would be effective? Rowland - It's going to take a while. I mean, first of all, the current badger culls that are being done are not being done essentially as scientific trials. So, there's no way to gauge whether the effect of them is due to the culling itself. There's so many other things that's going to be going on at the same time. So, that alone isn't going to tell us anything. These data that we're collecting, I'm looking across much larger areas. It gives us in a sense a more comprehensive picture, but at the same time, it's very difficult still to identify any single cause. So, what we have is, the ability of that data, which is a much higher resolution ever before. So, we got a much better chance of picking up differences say, in an area with culling with without. But it would still undoubtedly be at least several years if, for no other reason than because TB is a very slow moving disease. Ginny - So, still a lot more work to do. Rowland - There is indeed. 14:34 - What is fracking? 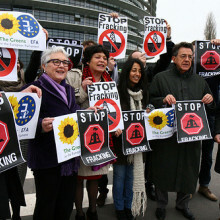 Fracking has been subject of intense global debate in recent months. But what does it involve? Our main topic for this week is fracking. Now, this has been all over the news recently with some people up in arms about the fact that it's going to be rolled out across England. 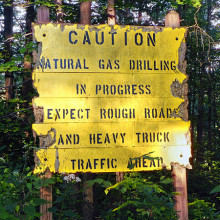 But how exactly does fracking work and what are the risks? Ginny - We're joined tonight by a panel of experts including Dr. Geoffrey Parker, a Water Engineer from Cambridge University. So Geoff, what exactly is fracking? Geoff - Right. So, what people are trying to do, they're trying to get to this shale rock which is essentially mud formed from salt and clay particles, and sometimes there's algae in there as well, which is this organic matter. As that mud is deposited and other layers of sediment are applied on top of it, it undergoes pressure and heat over time, and it becomes shale rock. And this shale rock can hold significant quantities of fossil fuels. So, this is the source for fossil fuels for conventional reservoirs. So, we think about classic drilling of oil and gas, and you drill a well vertically downwards until you reach a reservoir formation. So, there's a source rock and there's a reservoir rock. The reservoir rock, the characteristic of that is, it has high permeability. So, you then are talking about things like limestone or sandstone. Shale rock, because it had a very small particle, does not have this high permeability. So, it only really works this conventional extraction if you have this high permeability. So, the breakthrough now, the hydraulic fracturing is the idea that if you use, if you inject fluid of high pressure, you can create fractures in the shale formation itself and create basically a reservoir or a tapable source from the shale rock itself. You don't need a reservoir rock above it. So, that potentially vastly increases in number of geologic formations from which you can extract energy. 16:24 - Should the UK explore fracking? Is fracking an energy source the UK should explore? Or is it a risk too far? Should the UK explore fracking? Kate - So, we now know what fracking is, but why has there been such a debate about it? To find out, I met up with Aled Jones, Director of Global Sustainability Institute at Anglia Ruskin University and Justin Hayward,Director of CIR Strategy Consultancy. Aled began by explaining why the UK is currently so keen to explore fracking. Aled - So, lots of different reasons and global trends that could play into the reason we or the government is very enthusiastic, the main one being, energy security and rising prices globally of energy. So, in their mind, the way of doing that is to try and find more locally sourced fossil fuels. Justin - Yeah, I agree there is the problem of rising prices of energy globally. From a perspective of business, this is another opportunity for entrepreneurs and industrialists to go out and extract mineral resources which... they can do that for profit, whilst also helping the energy security problem. And also, to put downward pressure on the prices of energy for consumers. Kate - So, we're looking to fill that energy up at the moment. Aled, you mentioned 'in their mind' it's a really good ideas - that implies you've got some reservations. What are the potential problems with fracking? Why are we seeing so many protests? Aled - So, I think there's a number of different issues and there are a number of reasons for people protesting. The reason people go out on the streets in places like Balcombe is a blight on their landscape. Now, they're not huge sciences but the UK is not used to having oil drilling, gas drilling sites around where people live. So, it's very unusual. People are much more used to seeing that in the US. However, there are then additional pressures around local communities in particular. So, water availability and potential water contamination and potentially earthquakes, although they may be minor. So, there's all those environmental problems that could be fairly significant especially in places like Sussex where there is already water stress, so no question about it,y ou can do other things. You can stop farming. You can get people to be much more efficient. But there's an issue around gas as part of that solution and whether actually that does do anything with prices as well. So, there's the economic argument which doesn't really stack up when you look at the UK, how big it is and how much gas we're going to have. Kate - Justin, you mentioned that it's all about economics and businesses getting this new opportunity. Is this just a case of big business coming into contact with sort of rural areas that it isn't used to in the UK? Justin - If you look back 3 decades or so, there were lots of mines being mined for coal. So, we do have a history of activity on the land. Onshore wind has been pushed strongly by some quarters, particularly the government and as Aled alluded to, that's potentially more of a blight on the environment than fracking would be because again, as he mentioned, the footprint of a fracking site is relatively small. You start with a slightly higher tower for literally a few weeks and then it comes down to something that's quite often included by the trees or around the site. Kate - Aled mentioned these other concerns - earthquakes, water contamination - that people have. Do those play a part or is your reckoning that these protests are just based on what we can see? Justin - Again, in our conferences, we've people like Lord Oxburgh who's an eminent geophysicist and from Durham University, Professor Richard Davies. Both of whom are experts on the fracking. As I understand it from their presentations that they've given, the risks of water contamination and earth tremors in particular are very low. There can be other problems which are sort of much further down the track to do with 'how do you decommission these many sites which you will have used to exploit fracking?' So, it could be comparable with tin mining in Cornwall. Did it blight the environment or not in that area and this could be a similar to a result. But actually, if you look at the case of coal, there are some quarry sites for example the Eden project which have done wonderful things with sites which are formally then mines. I think overall, the environmental regulations are sorts of things that local people worry about - those people that are accused of nimbyism. Those regulations are much tighter than they used to be. Kate - Aled, do you want to come back on that? Are there regulations going to keep everything in check? Aled - So, we do have much stronger regulations than in the US. So, President Bush changed the regulation so fracking was takwn out of it. In the UK, it's true the regulations are much stronger. However, any minor accident and we know the oil and gas industry don't have a brilliant track record of never having accidents. So, if you look at somewhere like Sussex, any accident will take out their groundwater. So, that has a huge devastating local economic impact. So, the possibility of an accident is always going to be there. It doesn't matter how far you minimise it. The companies aren't going to spend enough to get rid of that because it will just make it totally uneconomic. It doesn't matter how many tax incentives the UK government put in place. The other issue is then the climate change issue as well. So, the fact that we already have enough carbon in fossil fuels, that if we burned it all, then climate change all the targets, we just can't meet them. So, the climate change bill in the UK, the stuff we already have, we can burn all of that already because of the climate change. So, why are we looking for more gas? Why are we not investing in the clean energy that we can use under the current regulations? So, either we change the regulations and say we don't care about climate change or we are taking stuff out of the ground, incentivising private companies to make a short term profit, which won't help the UK national security because they will sell to the highest bidder, in return for a devastating climate. Kate - Aled, you work for a sustainability institute. Can these cleaner energy alternatives realistically fill that energy gap? Aled - If they receive the same amount of investment and focus as fossil fuel, and the sort of tax incentives that they're getting then yes, it requires a whole change in our national grid infrastructure to be able to cope with different availability. But there's absolutely no reason why we wouldn't be able to have huge offshore wind, large scale tidal, Severn barrage, lots of different sorts of technologies. But we need all of them and we need to be focusing on that sort of investment, having a short term gap in the amount of gas in the UK is at best, 20 years and that's been the best estimates from the gas industry. It's probably much lower than that. So, it's not even giving us a long time to do something else. We should be focusing on that now. Justin - Well, if the opportunity in fracking is small then of course, it really has a triggered effect on global climate change and I would then believe that entrepreneurs and industrialists should be allowed to go ahead and extract and develop the resources, the small resources that are available. If it's a relatively large amount of gas and there are indications as they said that we could have 2 decade's worth, I think there are figures that show that it may be several decades worth, then this is all useful in helping us address energy security issues. And indeed, to give consumers the choice to buy local lower cost energy. There's an immutable law of economics which is that, although it is suggested the total decrease in prices even if you have large amounts of shale gas extracted viably is small, supply and demand of economic suggests that there's a downward pressure on the prices. 23:44 - Will fracking boost the UK economy? Fracking has led to lower energy prices in the US, so could the UK see a similar trend? Will fracking boost the UK economy? So, there might be enough gas in Britain to supply us for 20 years, but will this actually lower our energy bills? Dominic Ford went to speak to Mike Pollitt from the Cambridge Judge Business School. Mike - Electricity generation fears as the energy policy trilemma which is, how do we provide low cost energy which is low carbon and which is secure? So, the challenge is, how do you decarbonise electricity generation while maintaining energy security and while delivering reasonably low prices? Dominic - And by energy security, you mean making sure that we keep the lights on in essence? Mike - In the electricity sector, yes. Energy security is about keeping the lights on at a reasonable price because the lights will probably always stay on, but the question is, at what cost they stay on. Dominic - So, why is that going to be a problem particularly in the next decade or so? Is that does because of dwindling fossil fuel supplies or because of problem with the power stations themselves? Mike - Well, I think the immediate problem for the UK has been the large combustion plant directive which has meant that we've had to shut a significant number of our large coal fired power plants and that has meant that we've had to replace them with gas fired power plants. And that process was doing very well until quite recently when the government has begun talking about electricity market reform which is a major reform of how low carbon electricity generation is subsidised in the UK. Dominic - So, why are we favouring gas fired power stations over coal? Mike - Well, we're favouring gas over coal because coal is relatively dirty in terms of greenhouse gases relative to gas because until recently, gas fired power stations were cheaper than coal fired power stations. So, putting those two things together has meant that gas fired power production has been the choice that electricity companies make when they're making new generation investments. Dominic - How does fracking enter into that debate? Is this about making sure we've got enough gas to keep those power stations running? Mike - No. I don't think fracking has got really anything to do with the security of supply debate in electricity because the electricity - problem if there's going to be one - will manifest itself in the next 2 to 5 years. Fracking is all about gas supplies in 10, 15, 20 years time. The other thing is that the UK is heavily integrated into the European gas market. So anything that happens in terms of UK gas production has to be seen in the context of that. And what that means is that basically, we have to look at the size of the discoveries of fracked gas in the UK in the context of the market into which those supplies will be sold. That may have some impact on the price, but that depends on the size of discoveries. The main impact from an economic point of view will be clearly the UK will be able to sell that gas and simply increase its GDP as a result of producing more gas. Dominic - In the US, there's been talk of fracking bringing down energy prices quite dramatically because they've been able to be much more self-sufficient in their gas supply. Do you envisage that also happening in the UK? Mike - Well, the US is very interesting because what's happened is that in a very short space of time, the fracked gas has gone from being insignificant to being about 25% of the gas that's consumed in the US. Now, the sorts of numbers that are being talked about in the UK at the moment are small even in relation to the UK's current consumption of gas. They'd be even smaller in the context of the European gas market. So, the likelihood that they would as significantly impact on the price of gas for domestic gas consumers or for gas for power stations is unlikely I think anytime soon. Dominic - Could it be a boost for the UK economy? Mike - Yes. I think gas is of course a very valuable commodity and there are 150 billion cubic metres of gas that the British Geological Survey has talked about recently. It's only about 1 ½ year supply of gas that's consumed in the UK, but it's still worth say, 30 billion pounds and of course, 30 billion pounds isn't to be turned down lightly. Dominic - The environmental campaigners would say that we need to be getting off fossil fuels. We shouldn't be renewing our fossil fuel power stations. We should be building more windmills and solar farms. Do you think that's a realistic prospect? Mike - Clearly, we are building a lot more low carbon generation. I think even if the most optimistic scenarios happen for renewables and nuclear, we're still going to need fossil fuels to meet all of our electricity demands and of course, to provide the flexible generation which is needed when the wind doesn't blow or the sun doesn't shine. 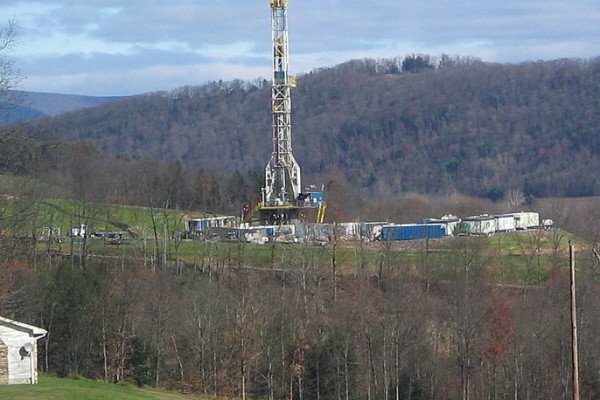 Should we be worried about fracking? Kate - So, Mike there just now was saying that renewables aren't currently a realistic option because their output is so variable. We're joined here in the studio by Dr. Tony Juniper who's an independent environmental campaigner. Tony, what would you say in response to that? Tony - We're nowhere near the point when intermittency is an issue for renewables in this country. If you look at Denmark, they're already well over 20% of their power is coming from wind. That country is one of the most competitive and strongest economies in the world. It's not causing a problem there and it wouldn't cause a problem here. If we got behind renewables in a way whereby, we were sending clear signals to the industry, driving investment into that sector, building up jobs, competitiveness for the UK, as some other countries are already doing. We will face issues of course around renewables and intermittency if we get up to a higher level than 20%, 30%. But then again, there are other renewable technologies that can supply us with power in ways that are much more secure in the sense of being predictable - tidal power for example, biomass energy, and also bear in mind that offshore wind in particular. It's very rarely that this country has no wind anywhere around its coast. Bear in mind also that we already have energy storage technologies. That are the natural partners of things like offshore wind. If we were serious about electric cars for example, battery technology would be storing power overnight when people are sleeping, the winds blowing offshore, cars are being charged up. That's contributing to energy security and reducing our reliance on imported oil. At the same time, as putting this country in a highly competitive position in terms of its access to future markets based on high technology. Kate - We heard from Aled a little bit earlier in the show and he was saying, it is possible. We have got the technology. We had a story a couple of weeks ago about new batteries for solar power, but it's just about the infrastructure that we currently have and how that we'd have to change that. Monetarily, is that an option? Tony - Of course, it is. It is a question of how we do it and how we plan for it. Our infrastructure across the country in many sectors especially in energy, it's ancient, it's creaking, and it's falling apart in many respects. We're retiring old generating plants in the form of coal stations. We'll be changing parts of our grid. We'll be therefore on the cusp of a major opportunity to modernise the country in ways that are not only going to be able to make us more secure in terms of our energy, but will create many, many tens of thousands of jobs. And help to put us at the front edge of this industrial revolution which is going to be coming in the early part of the 21st century. The world is going to be waking up to these green issues. And actually, we're putting ourselves out of that game. We're driving investment away and we're creating real uncertainty about where the future of energy lies in this country. Kate - I mean, wherever the future of the energy lies, we're currently looking at the moment at fracking this dash of a gas that is going to roll out across England. What is the environmental problems? Why are people protesting so much against fracking in particular? Tony - So, some of them have been mentioned by previous contributors. One of course is the landscape impacts. It is worth bearing in mind, the impacts to some of the stuff in the United States I was recently in West Texas and saw the very dense road map works that come with gas fracking because not only do you need the main well that fractures the rocks. You need a network of subsidiary wells to be able to get the gas from the areas where the rock has been cracked. And that can require up to 8 wellheads per square mile. I don't think people have really understood the implications as yet, but I think once this starts to be done in this country, if we get to that point, I think there will be very serious public pushback. If I was an investor in this technology right now, I'd be thinking very carefully about whether I really think this is going to happen. There's already been a mention of the risks of water pollution. Those risks can be managed, but there is always a risk there. We have quite complex geology in this country, very sensitive aquatic habitats. We rely a lot on ground water. But the big thing for me is around the climate change contribution. We are signed up to national legislation to reduce greenhouse gas emissions by 80% by 2050. But I think if we do go hell for leather for shale gas, we would basically be tearing up the climate change targets that are already enshrined in national law and I think that would be a disaster. Kate - We're going to be looking into some of your concerns there, water contamination around with some experts a bit later on the show. But surely, as with alternatives, we're talking about visual impact here. Wind turbines are an eyesore that we hear people complaining all the time about them being in your back garden. Tony - I disagree. Wind turbines are very beautiful and the opinion polls, one after the other, shows us that we have widespread public support, something like 80% of the people in this country support the expansion of renewables including wind. I think they're very beautiful. There is a vocal minority that's managed to whip up quite a lot of support in parliament to the point where the wind industry now has very mixed signals coming from government. It's an interesting juxta-position of circumstances where we have people in government telling us we need to be regenerating, manufacturing, and building our industry here. One of the growth industries where we have a real edge, not least because this country is described as the Saudi Arabia of wind. We're trying to stifle that industry because of some, what I would regard, as minority concerns about visual impact. 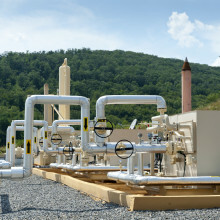 Escapes of methane from fracking sites could trigger substantial global warming, as methane is a greenhouse gas. Ginny - Now, Bob Howarth from Cornell University has been studying the methane emissions from fracking. Hi there, Bob. Bob - Hello. How are you? Ginny - I'm alright, thanks. So, why is methane such bad news for the environment? Bob - Well, methane is the second largest contributor to global warming after carbon dioxide at the present and it's equivalent in terms of its current role in warming the planet, it's equivalent to about almost 40% of what carbon dioxide is doing. So, it's a major threat and the critical thing to realise is that climate system responds in different timescales to carbon dioxide and to methane. The response to methane is much shorter, which means that over the next 2 decades, any methane that is released is very damaging to the climate. The most recent models for instance show where it warms the surface of the earth on average by 7/10 of a degree over the last 40 years or so, we're on target to up to 1 ½ degrees, doubling that within the next 15 years and going to 2 degrees within 35 years or so from now. And those sort of temperatures are very potentially dangerous, we have the potential to hit a tipping point in the climate system and get into runaway global warming. If we want to avoid that, clearly, we need to reduce carbon dioxide emissions, but the methane emissions are even more critical. The only way to avoid those dangerous tipping point temperature changes at this point in time, given the carbon dioxide we've already released is to start immediately to reduce methane. If we look at where methane is coming from, it's coming from many sources, but the natural gas industry is one of the top two in the world. It's the number one here in the United States. So, we need to wean ourselves from natural gas, even more quickly than other fossil fuels. It's the most dangerous fossil fuel at this point in time, given where we are with climate change. Ginny - So, how likely is it that some of this gas will actually escape during the fracking process? Bob - Well, it's definitely escaping. We published a paper on this back in the spring of 2011 which is the first published analysis on how methane leakage might contribute to the greenhouse gas of shale gas. We said it could be in the neighbourhood of 3% up to perhaps 8% of the light farm production of a well. It's emitted either at the time of fracturing or if the gas is used, transmitted to final consumers. The data behind that were not well-documented. We used the best available data, but they were not well-documented data. But what has happened is that we spurned a lot of interest and there's been a lot of scientific groups about measuring things now. The most recent studies are now 4 or 5 published studies, showing that in these shale gas and tight sand fibre frack fields that the emission level seem to be more in the 6 to 9, maybe 12%. So, there's a huge amount of methane that's leaking from these fields as it's currently being produced in the United States. Ginny - So, we've been talking about how economically important gas is. If so much of it is escaping, wouldn't the companies want to somehow capture that so that they weren't losing 12% of their profit? Bob - Well, it's not 12% of their profits because as they're doing a cost-benefit analysis. They could be more stringent in the technologies they're using, but they need to invest money and they need to invest more time in willing to do that. They have made a decision to drill more wells more quickly and use technology which is not as tight, if you will, to the emissions. It's an economic decision and it's clearly decision they've made. Could we regulate that to reduce the emissions? The answer is, yes. To date in the United States, we haven't been very effective at doing that, but gases are inherently slippery. They easily leak. It's very, very difficult to get every little last bit. Methane leakage at a rate of even 1% or 2% is damaging from a standpoint of climate change, quick damaging. I don't think we can possibly get down there even with the best available technology. Ginny - So, we've got a comment that's come in here from Jo from Cambridge who says that he hears that people who live in the US fracking zones can set fire to the water that comes through their taps. How is that possible? Bob - There is indeed evidence of that, just south of where I live, about 60 miles, you're under the Pennsylvania Marcellus Field and there's a very strong research coming out of Duke University that's shown that if you live within about a kilometre of a gas fracking operation, you have a much higher probability of having elevated level of methane in your drinking water. Well, it's high enough that indeed it is flammable. The reason for that is still subject to some debate but my colleague here at Cornell, Tony Ingraffea who's the engineer who's been working on fracking technologies since the 1970s. Tony has combed over the records for the state of Pennsylvania and what he finds is that at least 6% and perhaps as much as 30% of the fracked wells in Pennsylvania have problems with how they were drilled, how the cement casing was put in within the first year. So, there's clearly a mechanism for this gas to leak out and get into the aquifers and clearly, some of that gas is getting out. 40:05 - Does fracking trigger earth tremors? Fracking has been linked to earth tremors in Blackpool, but should that be a source of concern? Does fracking trigger earth tremors? Kate - So, while methane emissions that we just heard about might take a while to show their effects, Britain has already experienced one of the other concerns about fracking. In 2011, 2 earthquakes in Blackpool were linked to local fracking operations. We're joined on the phone by Brian Baptie from the British Geological Survey. Hi, Brian. Kate - So, were those 2 earthquakes in Blackpool the responsibility of the fracking operations that were going on nearby? Was it just a coincidence? Brian - No. The earthquakes were directly linked to the fluid injection that was going on as part of the hydraulic fracturing operation at that time. In fact, there weren't just two earthquakes. It was 58 recorded in total and most of those were very, very small. In fact, the largest one was also pretty small, even by UK standards, only had a magnitude of 2.3, but nevertheless, it was felt by 50 or so people in the Blackpool and it did cause some alarm. Kate - How can we know that they're directly responsible? Can we link them up time wise exactly or...? Brian - Yes. It's basically looking for a spatial and temporal correlation between the hydraulic fracturing operation and in this case, we were able to show that the earthquakes occurred very close to the injection well and at roughly the same depth where the injection was ongoing, so, around about 2.83 kilometres. And also, in terms of time, the earthquakes all occurred during the time and just after the fluid was being injected as part of the fracking operation. Another piece of evidence is that there is little background seismicity in this part of the UK, so if you start to see seismicity in an area where there is none, that's another piece of evidence that maybe something is going on. Kate - How would fracking cause these earthquakes? Brian - It's really all down to the fluid injections. So, what happens when you get and slip on a fork during an out crank is, the slip occurs because the shear stress that acts along the fault's surface exceeds the frictional resistance to sliding of the rocks on either side of the fault. What happens when you inject fluid is that it reduces the effect of stress on the fault system. It increases the poor fluid pressure. And that's a bit like just lubricating the fault and makes it easier for the rocks to slip past each other. So, what happened in the case of Blackpool and in many other examples of injection induced earthquakes is that these fluids build up and they can build up over relatively short periods of time and allow the rocks to slip past each other more easily. Kate - These earthquakes, so they were 2.3 on the Richter scale I think was one of the biggest. I mean, when we hear about big earthquakes, we're on 8 or 9 on the Richter scale. Could we even feel them? Brian - Yeah. I mean, people did feel the Blackpool earthquakes. They're around about the bottom of the range that people might feel earthquake activity, but of course, they were quite shallow. So, that makes it easier for people to feel them as well. But yeah, in comparison to large tectonic earthquakes, these earthquakes were tiny - pretty trivial in fact. And in fact, the largest known example that we have of an injection induced earthquake during hydraulic fracturing occurred in Canada in 2011, and it had a magnitude of 3.8. Now again, that might cause some noticeably strong shaking, but still, it's well below the level of these large tectonic earthquakes and probably, unlikely to cause any significant damage. Kate - If we've got a sort of a number of them - you said there were quite a few going on at the same time, even though they're tiny, should that be something that we're worried about or is this something sort of geologically, we can just let pass and not worry about? Brian - Well, I think it's a good analogy to compare these earthquakes to is, what happened during the period of coal mining industry in this country throughout the '60s, '70s and '80s. We recorded hundreds, thousands of mining induced earthquakes and people would feel these reasonably regularly, and really grew to kind of be familiar with them and to live with them. The largest of those earthquakes didn't exceed more than a magnitude for about 3. So again, of course, some relatively strong shaking and the largest, there are accounts of some minor damage, things like cracks to plaster and stuff like that, but some structural damage. 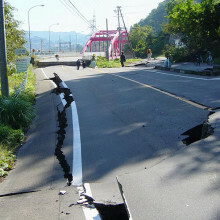 So, there are similar types of industrial activity in this country that have caused similar earthquake activity. So yeah, we have experienced this kind of thing before. 44:37 - Could fracking contaminate groundwater? Could chemicals used in the fracking process seep into our drinking water? Ginny - So Geoff, your research group have been looking at risk assessment surrounding this sort of thing. What are the chances of fracking chemicals actually getting into the water supply? Geoff - All these things, I think echoed everyone else's opinion. Everyone, so far has AN opinion, that is very locally dependent and geology is very complex. 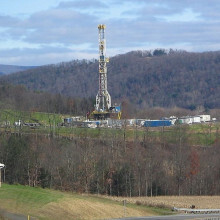 So, things like the Marcellus Shale was a pre-existing water fracture is vertically not geologic formation previously. So, there is some question about, how much of that is the well, which impossibly could be leaking, and how much of that is sort of the natural geologic formation from previous tectonic activity or from glacial activity historically. The shallow aquifers that we use for groundwater, the drinking water, 30% of the water in the UK comes from, that is supposed to be hydraulically non-connected to these shale reservoirs. So, the question is, how can they be connected? If the groundwater is at, maybe a couple of 100 meters deep, so 200 or 300 meters deep and the shale is at 2 kilometres, 3 kilometres deep, how can there be connections and how that occurs? There are a couple of sort of modes of failure that have been theorised. The one is this pre-existing fractures. Another is ground operations on the surface, if there's spillage. I mean, you're handling methane, but you're also handling these other fluids that then spills then there's potential. So, it's operation as well. There's potential for there to be contamination of groundwater. And finally, the big one is the well. So, where we should focus on, our efforts to making sure the well is really correct and not allowing these leakage in between the vertical well and the aquifer. The vertical well runs from its surface to the deep shale - 2 km, 3km deep and it runs through the groundwater layers and a bunch of other layers. And there's the horizontal well which is a big new part of technology since about 2005. It's really viable and that actually really has reduced number of wells, the number of vertical wells. So, this potentially, if the horizontal drilling becomes more significant, and the number of vertical wells goes down then potentially, that could also lower the risk profile. Ginny - What exactly are these chemicals we've been talking about? Are they something we should worry about? Geoff - Again, the UK is doing the right thing here. The EA has rights to require everything that is injected to be disclosed. So, there has been some historical situation in the US where that's not been the case. So, that's a big difference. The fracking fluid is 90% water more or less, so significant quantities of water needed, something like 4 to 12 Olympic-size swimming pools of water and that's injected into these wells and then flows back out, 25% - 75% that flows back over the short term, and over the long term, the rest of it sort of seeps out. So, 90% of that fracking fluid is water, about 9% of it is then called proppant which is usually sand and what the proppant does is it wedges the fractures open, keeps the gas flowing basically. And then there's some other small components, less than 1% and one of them is friction reducer which is again to try and get the proppant really wedged in correctly. I mean, you can find some of these friction reducers and things in face cream. So, there's nothing necessarily... in that list that's been disclosed to the EA so far. There's nothing that really causes too many alarms. But of course, there is potential if you lack of transparency, there is potential that other things are in there. The other concern is this flow back water which once in the shale formation, it's exposed to the rock and it can pick up minerals and possibly mildly radioactive things as well. So, that might also be a concern. So, those are sort of the mechanisms. Kate - We've got an email in from Hetty Jacobs earlier in the week and she's in Australia and she said, they over there got numerous reports of polluted water and they're one of the driest continents on the planet. If we need to dispose of these water and clean up, would some areas of the world be concerned about droughts? Geoff - Absolutely. I mean, you have to make a trade-off here. If you're going to use significant quantities of water for this, then like anything, you have to get that water from some place. So, how do you look at managing that? 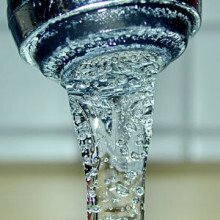 Well, you could take the water from a water utility or you could take the water an aquifer, or you could take the water from a river system or a lake, or you could use possibly saline water which is a brackish water or what is essentially waste water already to do that and that's something they're looking at doing now as well. But absolutely, I mean, there's no doubt there's significant quantities of water that are needed and that water needs to be trucked in sometimes and trucked out, and treated and disposed of in a reasonable way. Ginny - So, what can we do to minimise the risk? Geoff - My view on this is, sort of agnostic. I'm an engineer, so if we're going to talk about this stuff, let's talk, identify which risks are sort of real and significant locally and which ones are less real, and less significant locally. Let's try and make sure that we place our effort and our legislation and our monitoring and transparency on, what are the risks are. So, things like making sure the wells are correct, making sure you know a baseline of methane already in the ground, you have increased monitoring, you have proper regulation, you have carbon regulation, inspection. Things along those lines are sort of, 'an ounce of prevention is better than a pound of cure' kind of thing. 50:43 - How much damage can a penny dropped from height do? How much damage can a penny dropped from height do? Hannah - This week, we bang our heads together by cracking into a question that Ben Bennett wrote in with... Ben - If we dropped a penny from the top of the burg khalifa in Dubai and it hit somebody on the ground what would the consequences be? Hannah - So, a penny hitting your head after an approximate 830-meter drop, ouch! Or no effect at all? To find out which, we'll climb to the top of an iconic Cambridge spire with the engineering Don, Dr. Hugh Hunt. Hugh - So, we're going up clock tower here in Trinity College and it's about 12 meters up to the top and I reckon that if we drop our penny then we could estimate how long it takes to get to the bottom. Hugh - It should take about 1.6 seconds to reach the bottom. If it takes longer than that then we're reckoning that we must've reached terminal velocity. Hannah - And if it reaches terminal velocity then it will be dropping at the same speed in Cambridge as in Dubai. Speed is important as the faster the penny travels, the harder it hits and the more damage it will do to a head. Hugh - We better work on the assumption that a penny landing on somebody's head will kill somebody, so we better make sure there's nobody standing underneath. 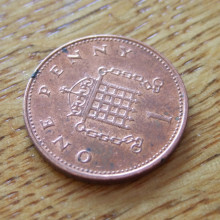 Alright, I've got my penny and I'm going to see if I can work out how fast it takes to go over the edge, 3, 2, 1, go... So, that was about 2 seconds which means that the penny is very definitely reaching terminal velocity, even after a distance of 12 meters. And so, dropping it from a higher tower, my guess is, that it won't be going really much faster than the speed that we saw just then. We're really talking maybe 5 to 10 meters per second which is no more than 15 or 20 miles an hour. It's not that dangerous. 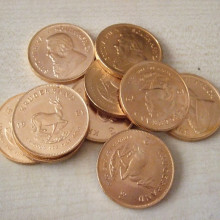 You can easily throw the penny that hard and if you were across with somebody and you threw a bundle of coins at them, it might hurt but they're not going to die. Hannah:: Thanks, Hugh. So, it seems that if we dropped a penny from the top of the tallest building in the world and due to air resistance, the penny would only reach about 15 to 20 miles per hour and Hugh doesn't think that an object with this speed and mass would cause significant damage to your head. That is unless you spin the penny like a spinning wheel then it would slice through the air with far less air resistance, move much faster, and could hit you edge on so it would be much more dangerous. Next Diabetes Management - On your phone!